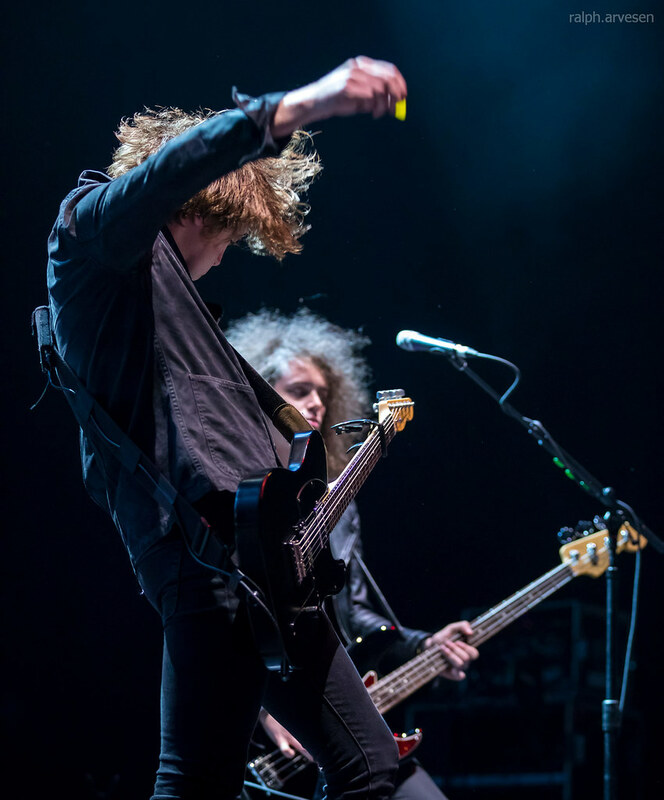 Catfish And The Bottlemen performing at the AT&T Center in San Antonio, Texas on September 9, 2017, with Ryan Evan "Van" McCann, Matthew "Benjitwo" Blakeway, Robert "Sideshow Bob" Hall, and Johnny "Bondy" Bond. 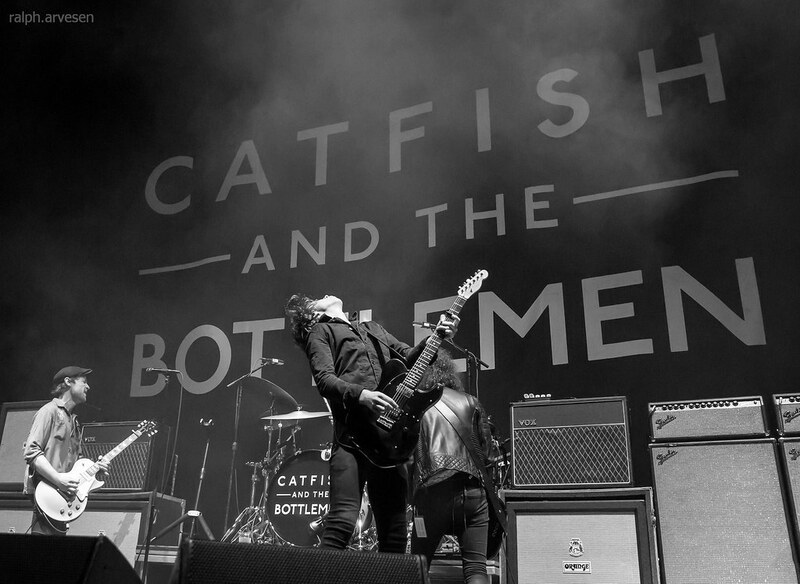 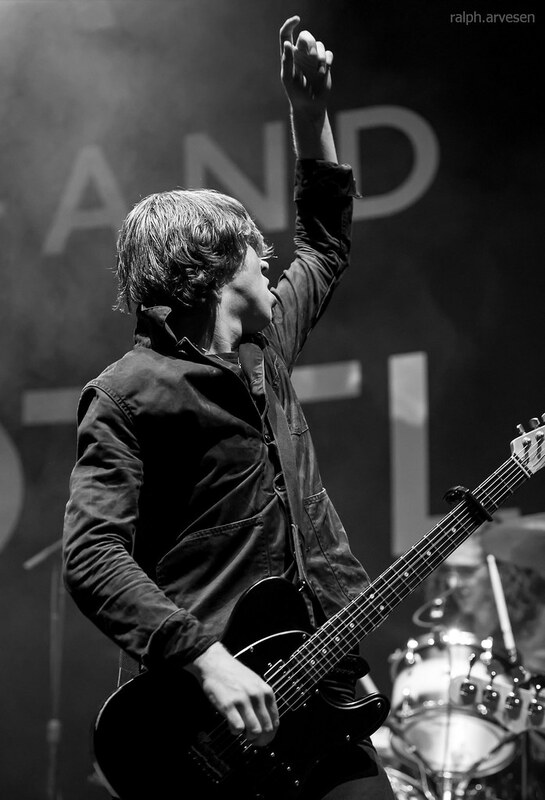 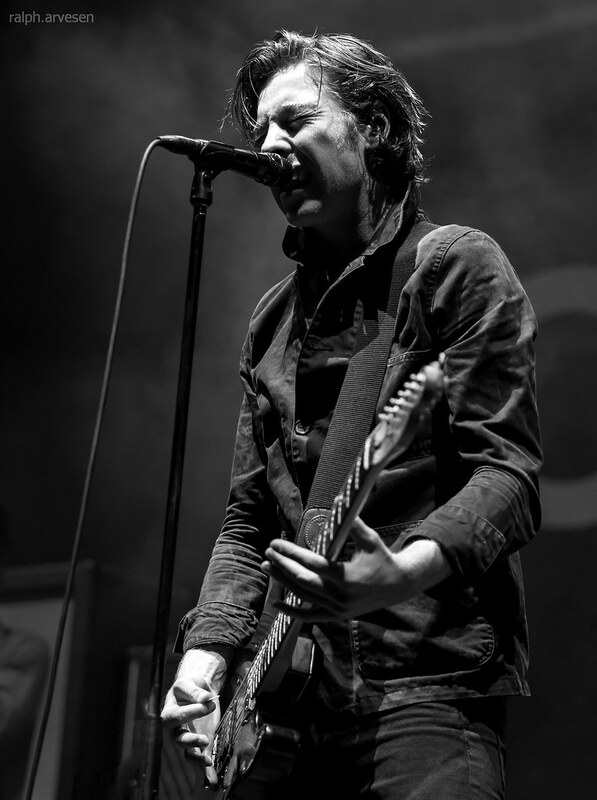 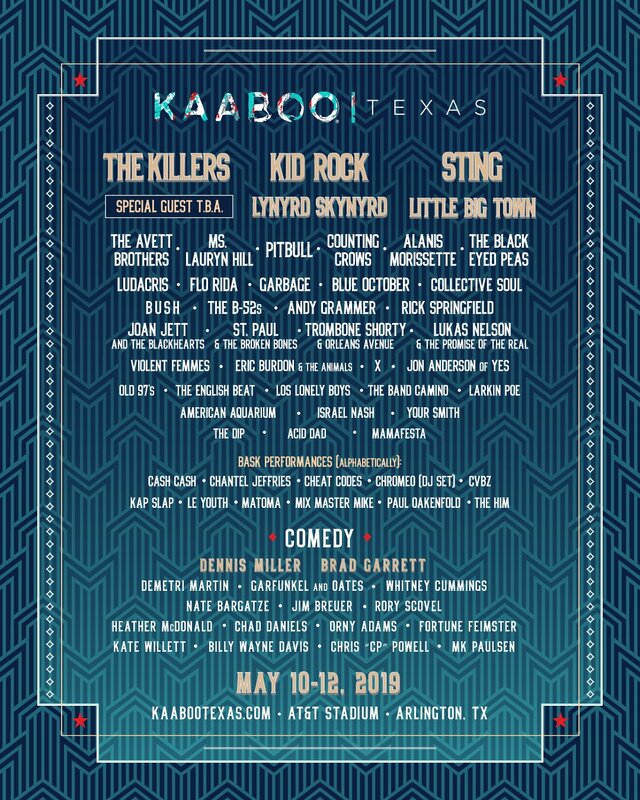 British indie rock outfit Catfish and the Bottlemen formed in 2007 in Llandudno, Wales, with members moving to the seaside town from as far away as Sheffield and Newcastle to complete the lineup. 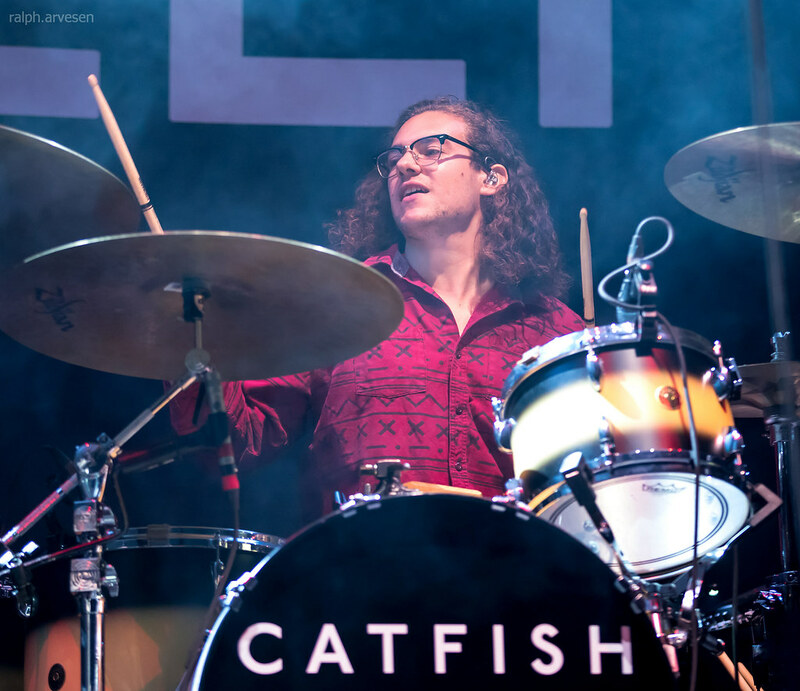 Cheshire-born singer/songwriter Ryan Evan "Van" McCann started the band, naming it after a street busker, Catfish the Bottleman, that he saw perform while traveling with his parents in Australia as a child. 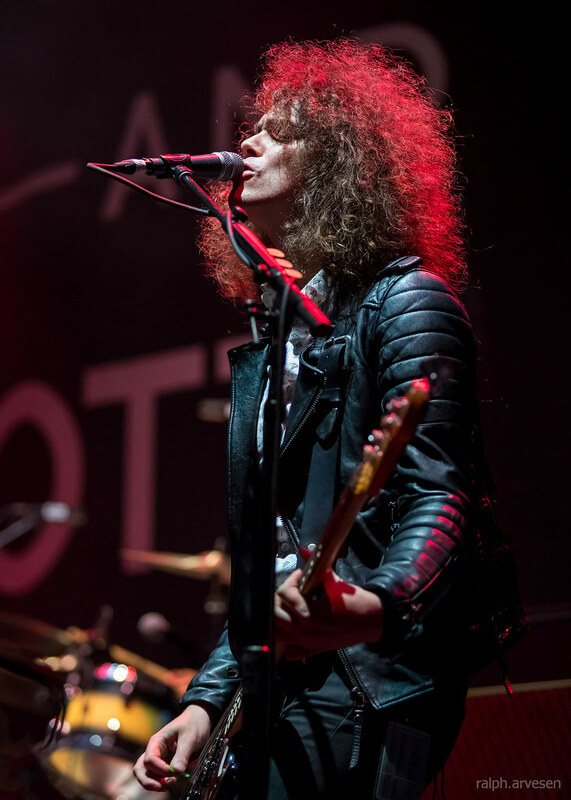 Initally, the group featured guitarist Bill Bibby, bassist Benji Blakeway and drummer Jon Barr. 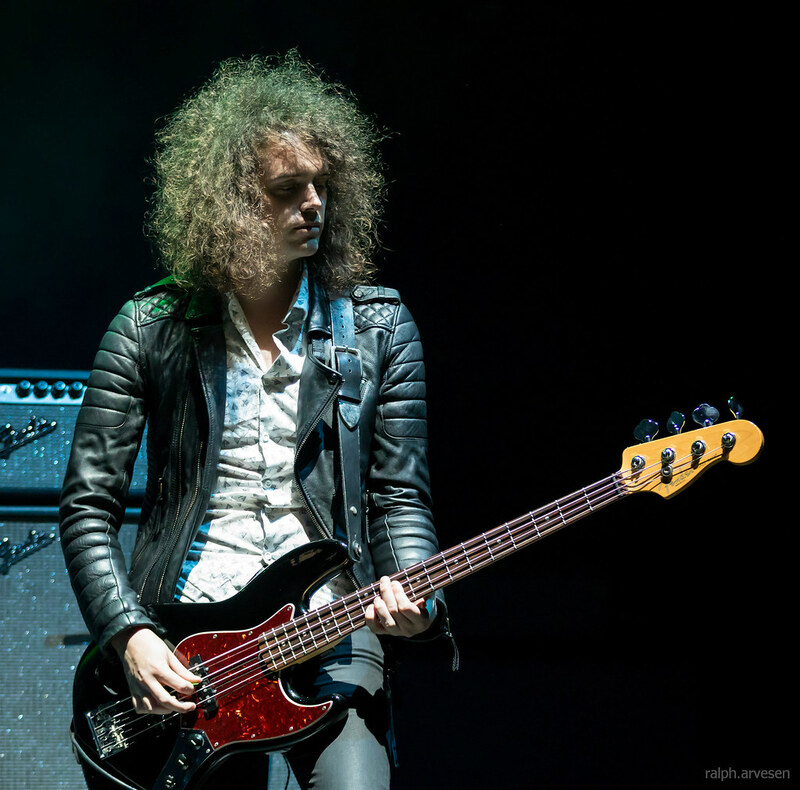 By 2010, Barr had left the group, replaced by Bob Hall. 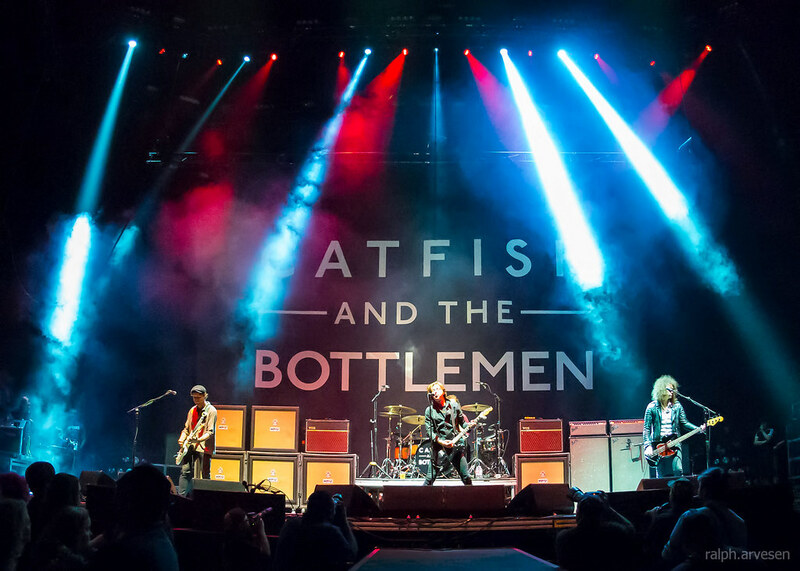 Pairing a staunch D.I.Y. 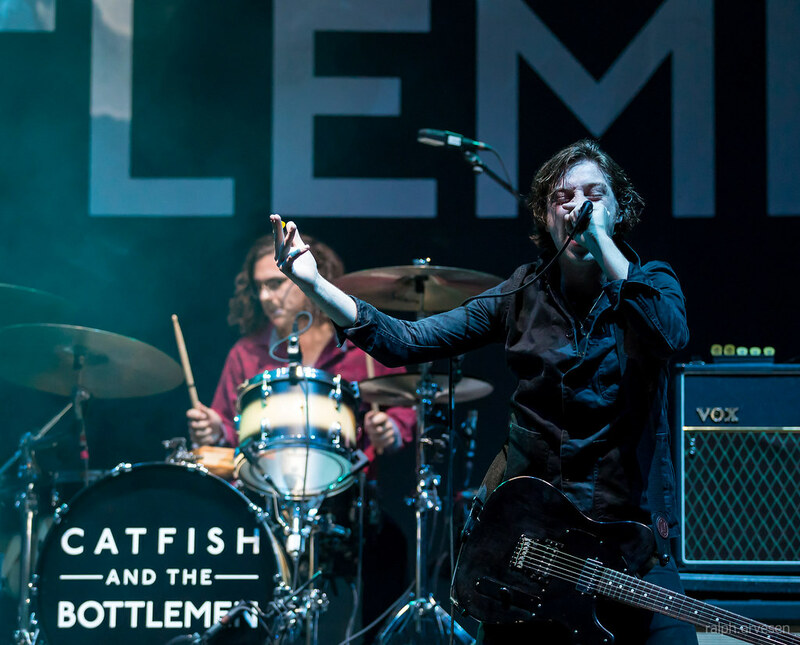 ethic with a gritty, garage-laced sound, the Bottlemen gigged constantly throughout 2012 and 2013 before signing to Mumford & Sons bandmember Ben Lovett's Communion Records later that year. 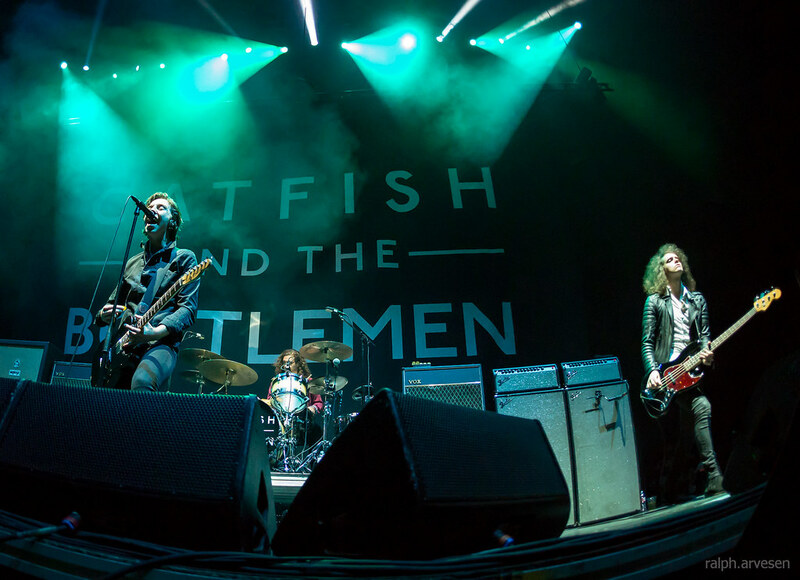 They released three singles on Communion before moving to Universal in 2014. 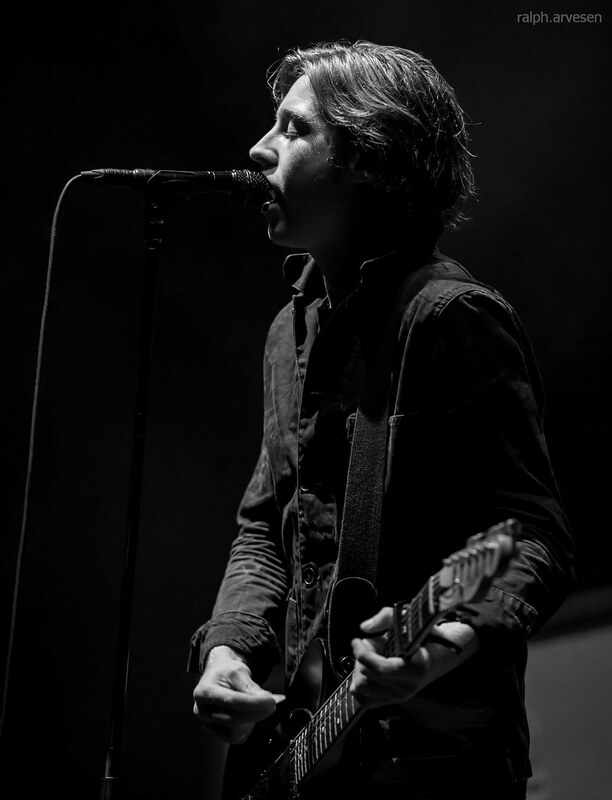 After receiving a Best Newcomer Award from the BBC, they delivered their full-length debut, The Balcony, in September 2014. 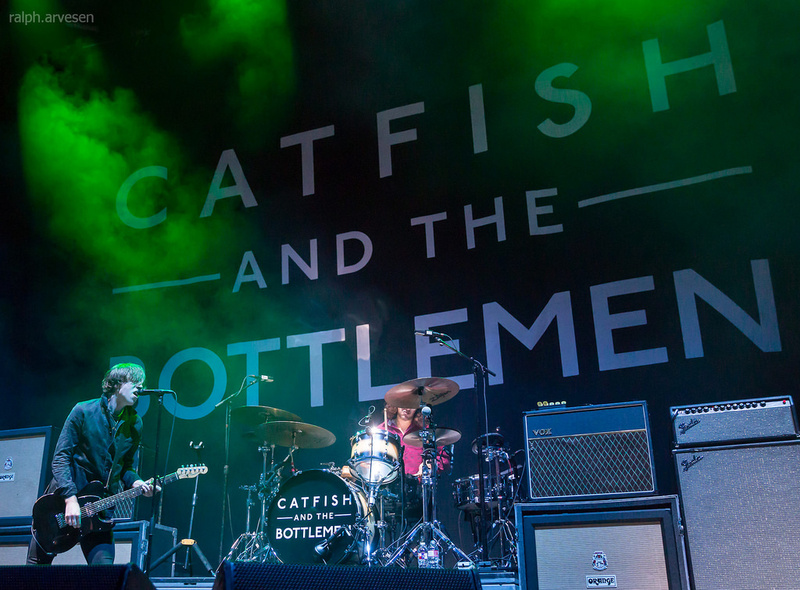 The album debuted at number ten on the U.K. charts, yielding the hit single "Kathleen." 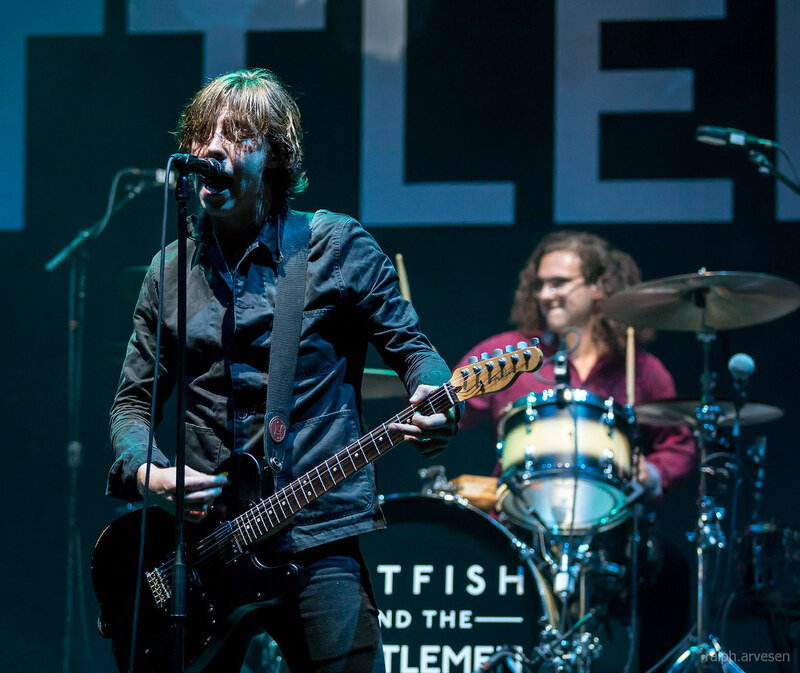 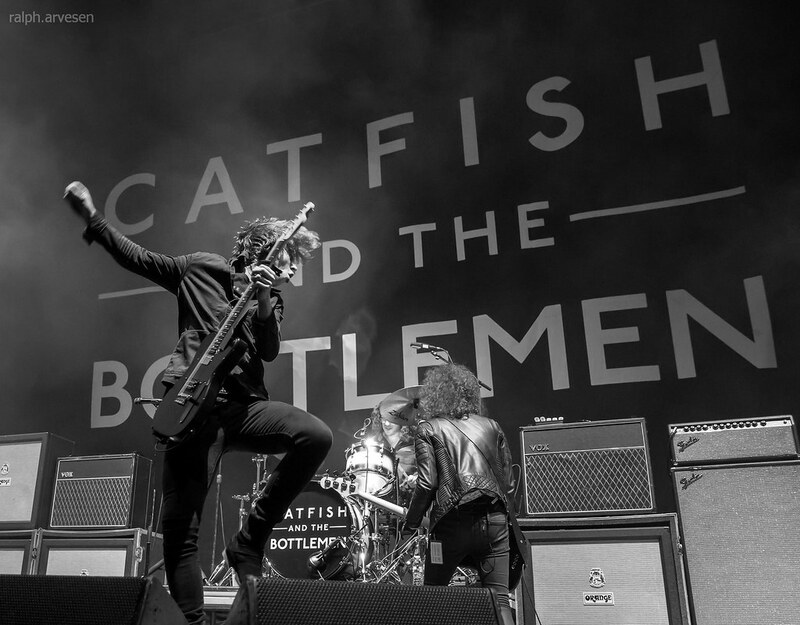 Catfish And The Bottlemen shared the stage with Green Day at the AT&T Center. 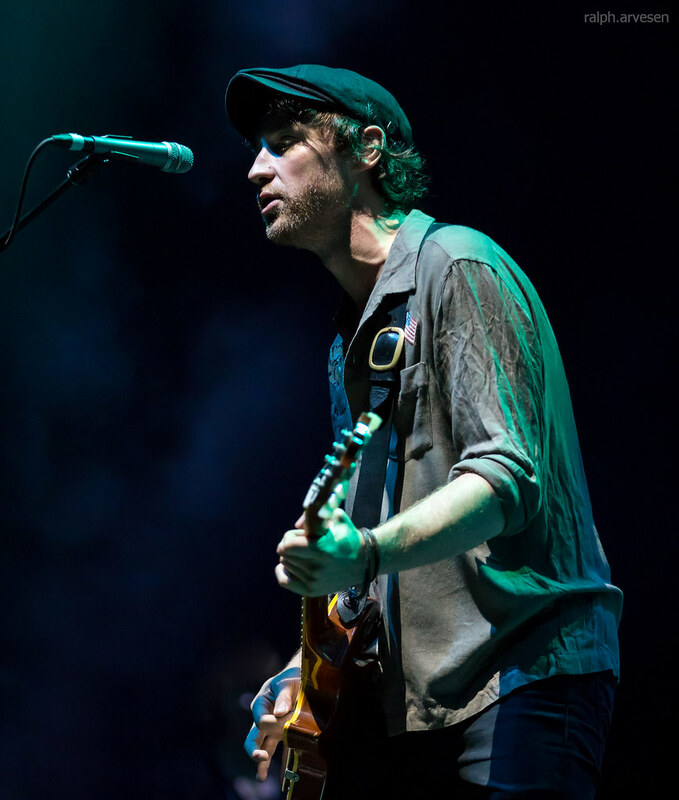 The band continues across the United States with the last stop at the Rose Bowl Stadium in Pasadena, California on September 16, 2017.